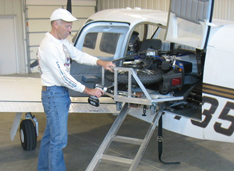 Load and secure a street-legal motorcycle inside your airplane. Ground transportation solved! Fast: Flying to riding in 2 minutes. Easy: A built-in winch system does all the work. Removable: The drop-in design secures with seatbelts. * Fits Piper PA-32/34 airplanes. Products for other airplanes are on the way. Add space for bicycles, skis, golf clubs and more. 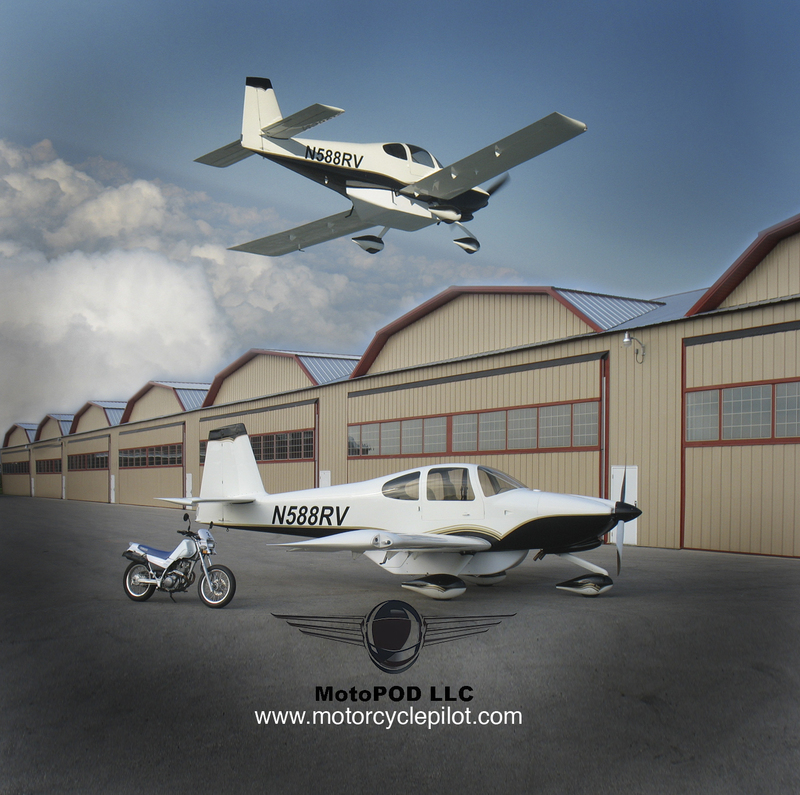 MotoPOD can also be configured to carry our street-legal motorcycle. Removable: Attach or Remove in 30 seconds! Top-Loading: Handles your most bulky items up to 8 ft. long. Optional Motorcycle: The ultimate ground transportation solution. * Fits Van's Rv-10. 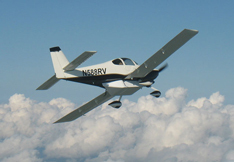 Soon available for Cirrus and other top-selling airplanes. Only 1/3 of airports offers ground transportation services… why not bring your own? This highly modified motorcycle weighs just 220 pounds dry and provides highway performance for two adults. It folds to fit in our MotoLOAD and MotoPOD systems. Fast: Ready to ride in about 60 seconds. Safe: Non-spill fuel system and other aviation-friendly features.